Julia Ben-Asher is the arts and entertainment reporter for the Steamboat Pilot & Today. Julia graduated in 2014 from Lafayette College in Pennsylvania with degrees in psychology and sociology. She served as The Lafayette Newspaper’s arts and entertainment editor, news editor and managing editor, as well as reporting in all areas. She also worked in marketing and PR in several student and nonprofit organizations, including Hope Through Health and StrongMinds Mental Health Africa. Julia first joined the Pilot & Today as a copy editor and page designer from 2015 to 2016. She contributed arts and entertainment articles to the newspaper on a freelance basis for several years, covering visual arts, theater, film, music and events, before becoming the arts and entertainment reporter in 2019. 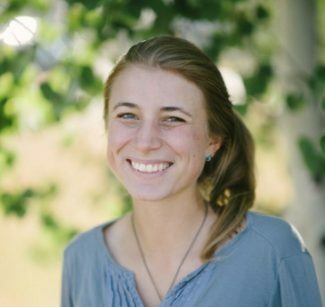 During Julia’s years in Steamboat, she’s also taught preschool, kindergarten and art classes at Mountain Village Montessori Charter School as well as downhill ski lessons to children and with Steamboat Adaptive Recreational Sports. Julia can usually be found hiking, skiing, camping or listening to bluegrass. She also enjoys sketching and has displayed pen drawings of mountainscapes, wildlife and friends adventuring at several Steamboat Springs First Friday Art Walks.